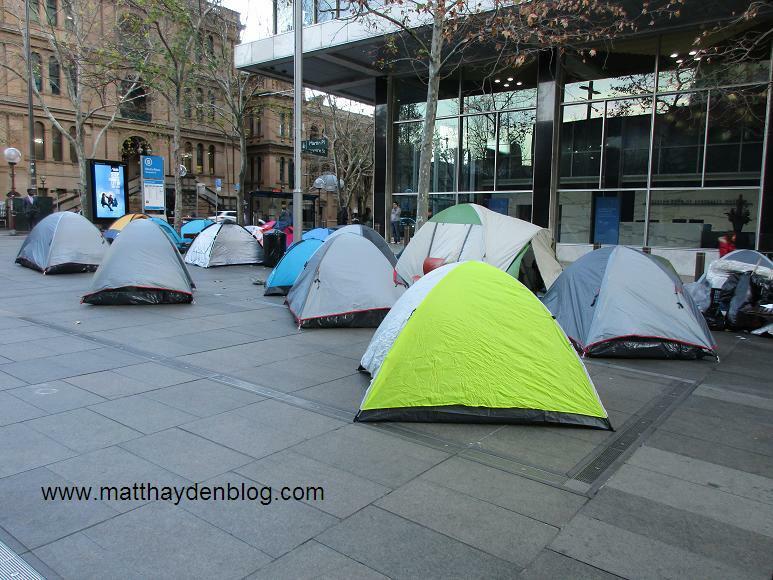 If you've been in Martin Place recently you may well have seen a makeshift homeless camp. 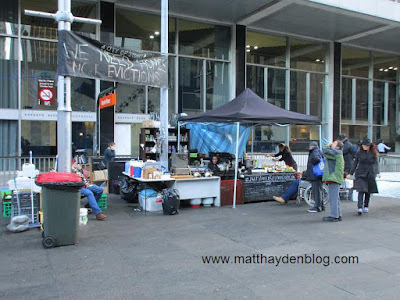 It's at the eastern end, just near Macquarie St. Interesting that it's still there, because late last month there were reports that it had been closed down. Not sure how long it will stay ... In any case it's quite a little community they've got there. Obviously they're getting help from various charities. 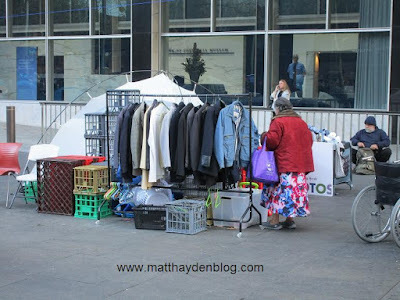 Still, it's interesting how people manage to organize themselves even when destitute. 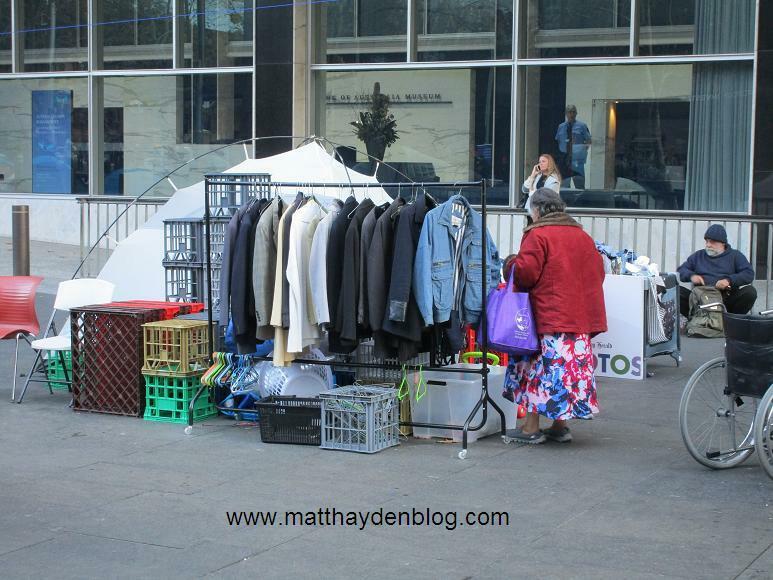 ... and an op shop. 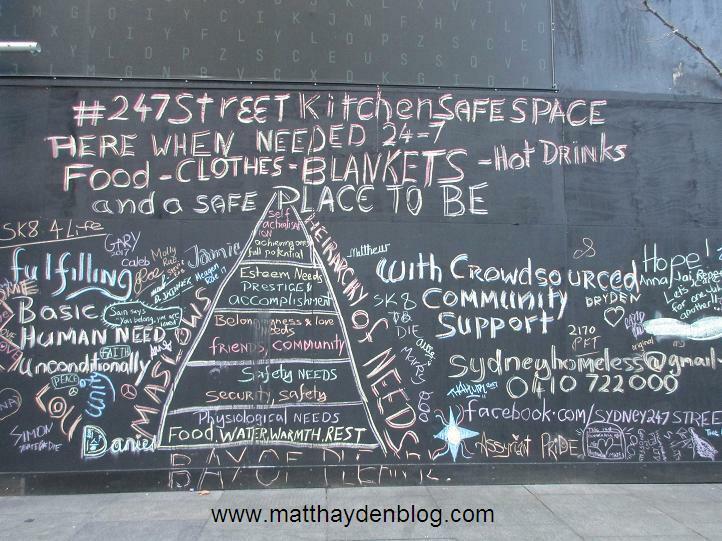 Graffiti on a nearby wall includes Maslow's hierarchy of needs. There are also several tents. Gotta pity the poor bastards sleeping in these given how bitterly cold it is, and has been for weeks. 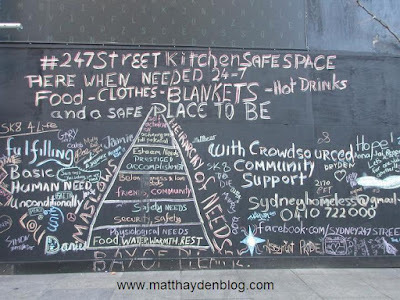 Dread to think what it must be like for people on the streets who don't have this kind of shelter. Not sure what the NSW Government plans to do about all this. 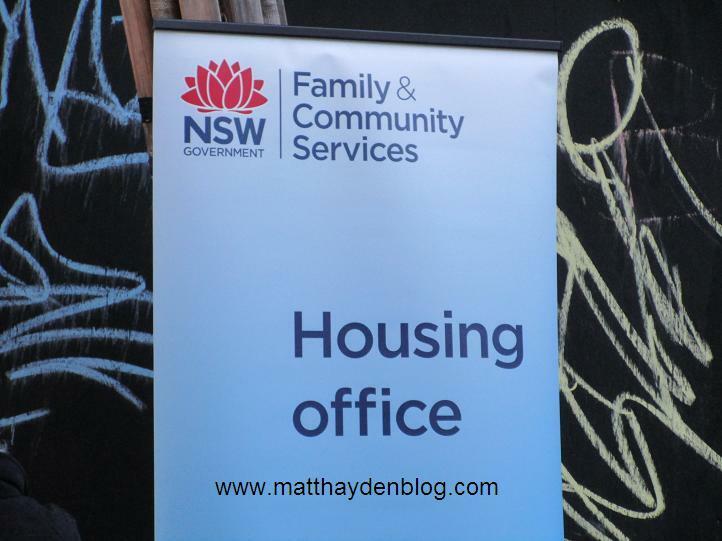 But there's a makeshift FACS office there opposite the tents. So it seems they're trying to help the homeless there find roofs over their heads. 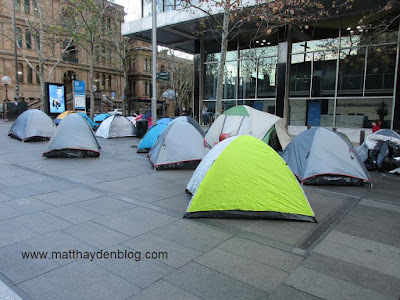 Like an Occupy settlement, but with a purpose beyond chanting about evil capitalism. 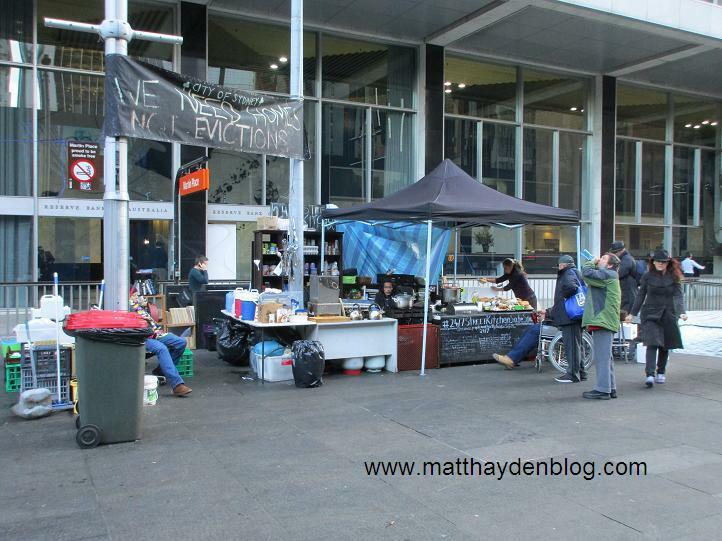 Looks tidy too, so the Occupy comparison may be very unfair.